The video opens with clouds in the sky and the sun rising. 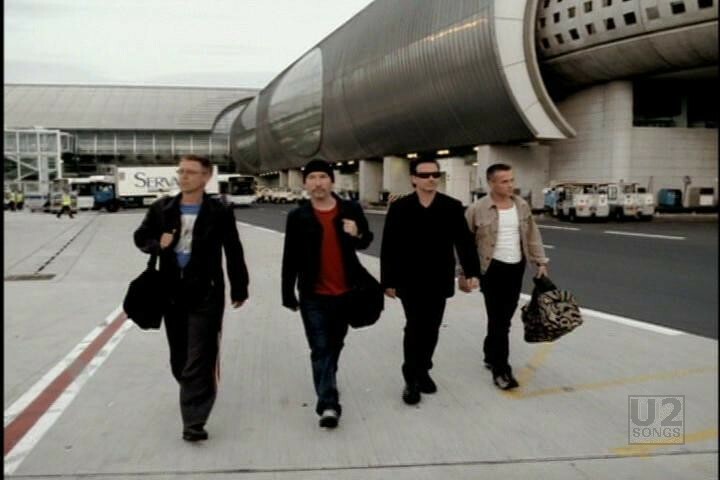 We then see Bono walking around outside, and soon realize he’s at an airport as a plane travels over his head. He stops a car and tries to give away some money, and then heads inside the airport where the misbehaving continues – he’s playing on the escalators, tries to grab a lady’s hand luggage, and takes a bite out of a lady’s apple, and climbs onto the luggage conveyor. We also see the band arrive and go through security. 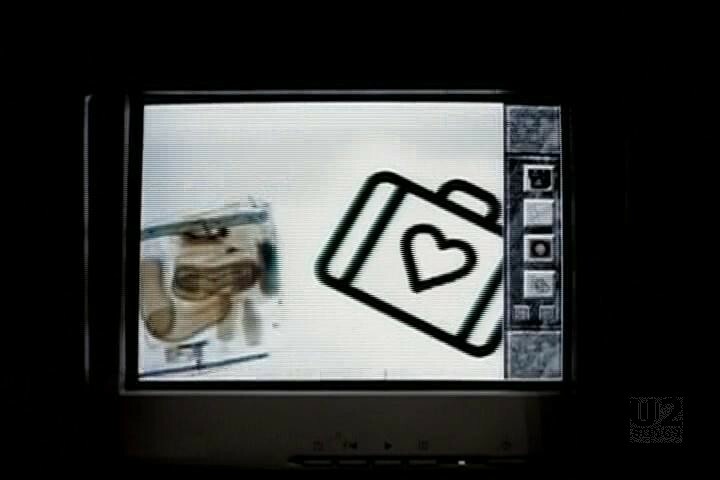 One of the bags goes through the x-ray scanner as the symbol of a heart in a suitcase. 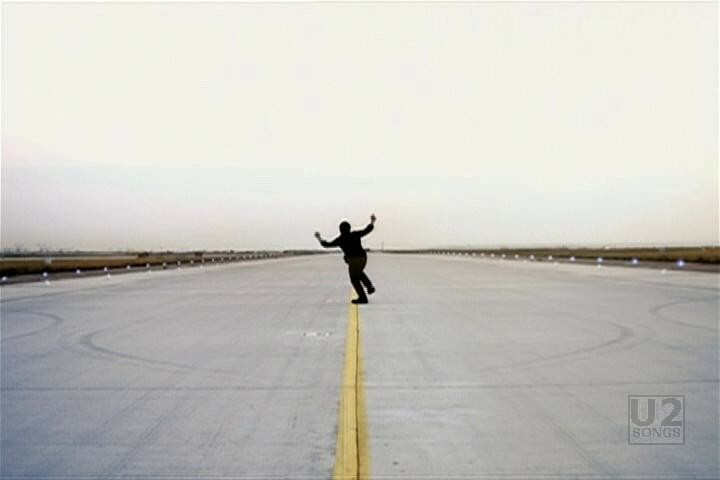 The video is intercut with scenes of the band performing together, first in some sort of warehouse space, and later in an open space on a runway with planes going overhead. 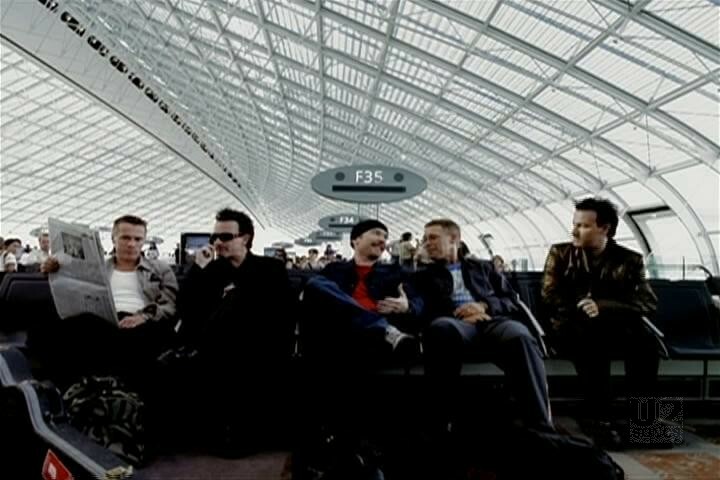 The noise of the planes are included in the audio mix for the video. There are also two lovers who are seen throughout the video at various points. The video got strong positive reviews. The imagery of the planes overhead was carried on to other videos for this album, and you can see them at the start of “Elevation” and Åkerlund’s video for “Walk On” as well. The video was filmed August 12 and 13th in the airport according to Doras, NME, and other press outlets.